Pasar de su banda para ser el secundario de Elize no sé si es una buena elección. Eso sí, vocalmente, el grupo mejora mucho. Amaranthe están en los estudios "Hansen" en Ribe, Dinamarca, con el productor Jacob Hansen (Volbeat, Epica, Delain) para comenzar a grabar su quinto álbum, que se lanzará durante este año. Será el primer trabajo de la banda sin su fundador Jake E.
Welcome to the "Amaranthe V" Studio Vlog PART 1!!!! 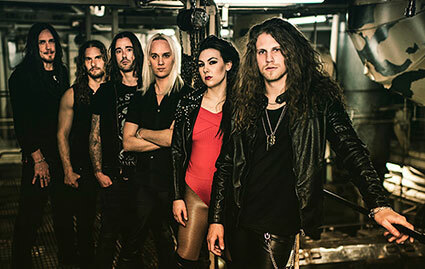 Swedish melodic metallers AMARANTHE have entered Hansen Studios in Ribe, Denmark with producer Jacob Hansen (VOLBEAT, EPICA, DELAIN) to begin recording their fifth album, due later in the year. 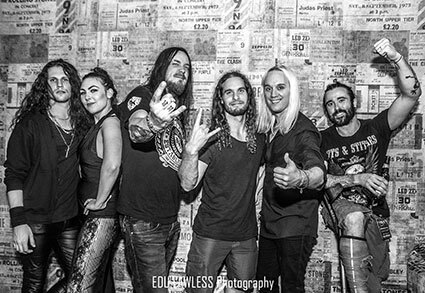 The follow-up to 2016's "Maximalism" will mark the band's first release with DYNAZTY's Nils Molin, who officially joined AMARANTHE in July 2017 as the replacement for Jake E.
Amaranthe ha terminado de grabar su quinto álbum en los estudios "Hansen" en Ribe, Dinamarca, con el productor Jacob Hansen (Volbeat, Epica, Delain). Para variar Olof y Elize nos comentan que es su mejor trabajo hasta la fecha y que están deseando que lo escuchemos. 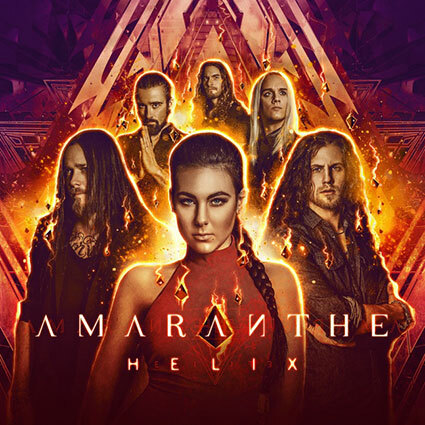 Amaranthe album no. 5 is DONE!! "With a newborn album it is easy for an artist to fall into hyperbole, and rants of how it is the best thing you have ever done - but for the first time I can confidently say that this album very certainly the best and strongest of our entire career. Soon enough, you will get to hear for yourself and judge - now, time to leave Denmark behind, and after two months, return HOME!!" "I have loved every second, to write, create and making this album. I can’t wait to reveal the Name of our 5:th baby, let it loose into the world to live it’s own life and spread the message all by itself. It feels to me already like the most strong and confident child of ours. The support has been important, and I’m so grateful to everyone involved." AMARANTHE: detalles de su nuevo disco "Helix"
"Helix" saldrá a la venta el 19 de octubre a través de Spinefarm Records. Sera el primer disco con el nuevo cantante Nils Molin. Vocalist and composer Elize Ryd offered her take, saying: "'Helix' describes the concept of how the past forms us and how life makes us become. No excuses, no regrets. We express the challenges and the uplifting moments in time, and all that in between with the sounds that we love. 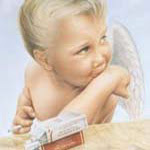 We want to dedicate this album to all the fighters and friends out there..."